This is our assignment for the Aspire and Inspire sparkteam: February 9th is Read in the Bathtub Day. Have you ever read a book in the bathtub? Why or why not? I have read many books in the bathtub! It is very relaxing. It combines two of my favorite relaxing activities. If you haven’t tried it, you should. Enjoy! loveeeeeeeeeeeeeeeeeeeeee this blog and photos... you are amazing!!!!! yahooo!!! 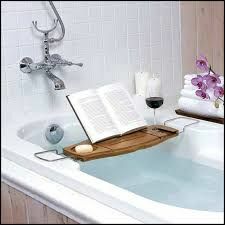 I’m not a bath taker, but after seeing the cool shelves for the book and glass of wine, I just may have to buy one and try it out! My daughter does it all the time. I need to start. I do read on the exercise bike, however. I have recently come to love reading in the bathtub! It's very relaxing and takes your mind off of whatever may be bothering you. blog. How nice to combine two things you enjoy. Makes me want to crawl into a warm bubble bath with a good book. I haven’t taken a bath in about 50 years! LOL.